A better ride for you, your crew, and equipment. Compared to the standard leaf suspension, TAK-4 Independent Front Suspension delivers outstanding vehicle control. With up to 10” of suspension travel, a light spring rate, robust design, and independent wheel movement, the system keeps tires on track for improved overall handling and performance. Better ride quality reduces stress on the occupants as well as on the components and vehicle. Using the TAK-4 system will help you stop quicker, stay in control, and maneuver your vehicle to a safe and controlled stop. This minimizes potential for accidents and helps you get to the fire scene safer and quicker. A maximum front axle weight rating of 24,000 lb is possible with 425/65R22.5 tires. 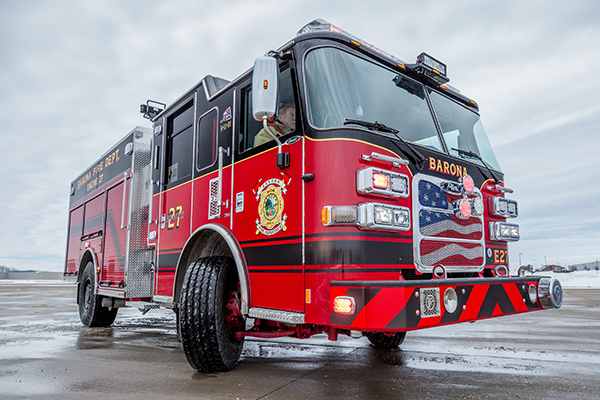 Higher rated front axle allows for greater load carrying capacity, enabling you to add more features and equipment to your apparatus, such as front suction or air conditioning without exceeding gross vehicle weight restrictions. The independent suspension accommodates larger front brakes – which transfers weight quicker to the front wheels. The TAK-4 IFS not only maximizes a truck’s performance, it minimizes the wear and tear on your equipment, reduces maintenance, and saves a lot of brake repairs. 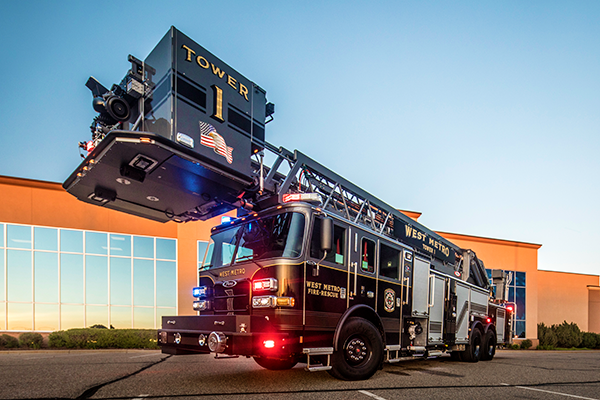 TAK-4 provides you with the highest cramp angle in the fire industry; you can safely and effectively maneuver into strategic locations when responding to a fire. The maximum cramp angle achievable on TAK-4 is 45 degrees, with a minimum of 40 degrees. TAK-4 IFS is a mechanical-over-hydraulic steering system with two steering gears that provide power to the steering linkage. Cast steel alloy and ductile iron upper and lower control arms allow the front wheels to take on potholes one at a time. A robust torsion bar set-up helps deliver superior control. Lower spring rates, made possible by the torsion bar, smooth out the road better than any straight axle rig with leaf springs. 17” ventilated disc brakes improve stopping distance. The increased brake pad and rotor size reduces your brake changes and knocks down your maintenance expenditures over the life of the apparatus.